Let's the festivity begun as I am celebrating My Luscious Collection, and what else could be a better rather greater start than a HAUL itself? 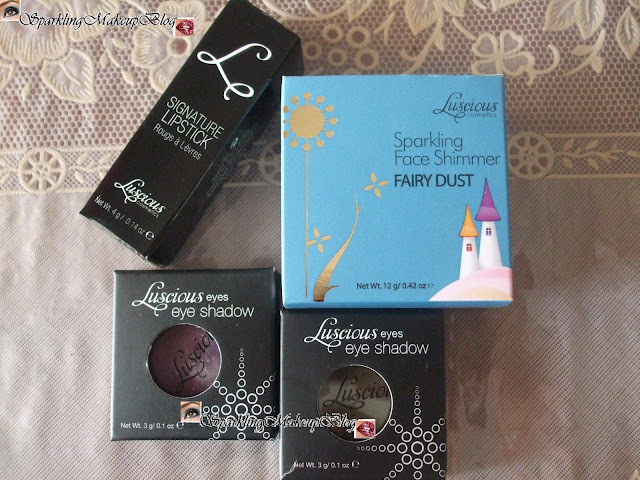 So here is my long awaited (to be posted) Haul from Luscious Eid Promotion, did you have your lovelies? Wanna know what I got? esp my friend Sana Sadiq: To know more Read more!!! 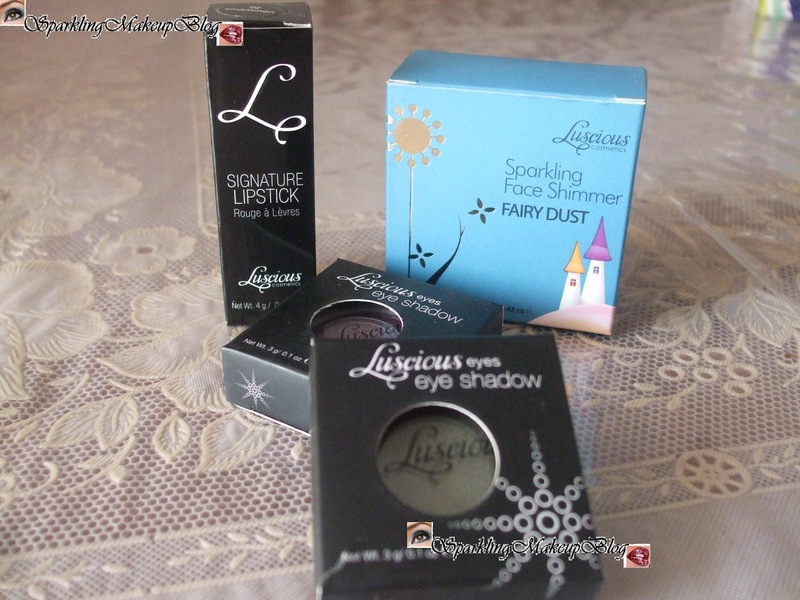 When Luscious Cosmetics launched this offer in Ramazan, I went to all nearest stores who display Luscious to check this offer but it was not launched in the stores even after 4th of August. I went to Hayee's, D.Watson (F-10 and Blue Area both) but they had no clue of such promotion, I hate dumb sales men:/ So I finally clicked there website and placed my ordered my lovelies, and it safely reached my mothers home in Lahore (as for Eid I had to go there was not sure that i'll be at home to recieve it or not, so had to wait for few days before actually seeing and touching my beauties:)). Now the details of what I got, since they launched Sparkling Shimmer I had my eyes on it, not only because I wanted a face shimmer but I loved the packaging alot. 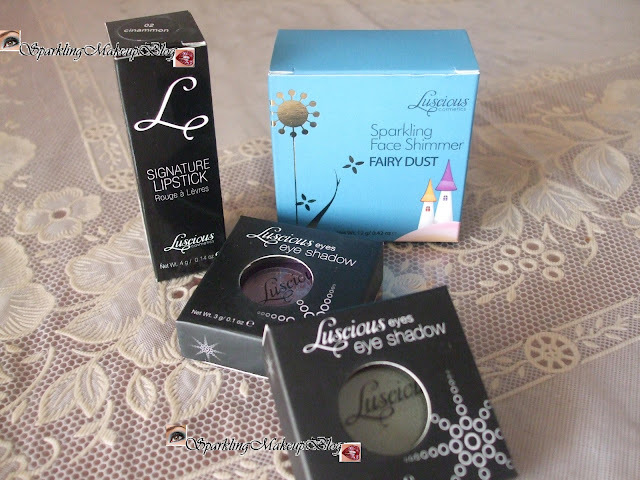 I chose "Fairy Dust"(Pkr. 595) as it is peachy highlighting shimmer and it's box is one of the coolest besides "Egyptian Bronze", I was not into golden shimmer otherwise would have ordered that too, but next time will get that. Signature Lipsticks were the next on my priority and going through the names and after swatches from many store I short listed "Cinnamon"(Pkr 675), for the shade and name-sake. The two Free single eye shadows I ordered in"Deep Forest" and "Royal", if Ash gold was not out of stock I would have ordered that as it's one of a beauty and some one stole it from my stash, may there hand burns:/. I am glad and thankful to Luscious for sending my my demanded shades as most of the rest I have. 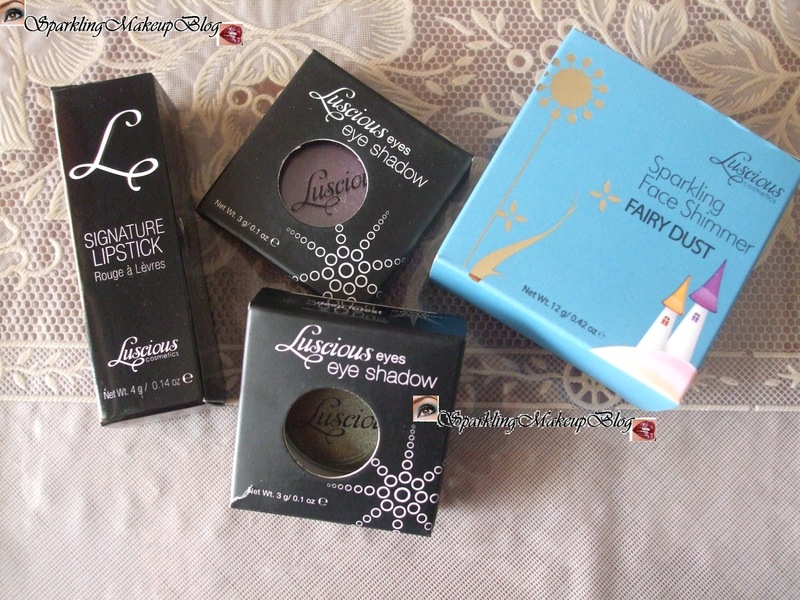 Hope you all like my Haul, do comment, like, share, tweet and G+ this post to spread the love of Luscious all around. Did you buy anything from this offer? Do share. I haven't used any other luscious apart from the lip gloss and lip couture, waitin for your review!